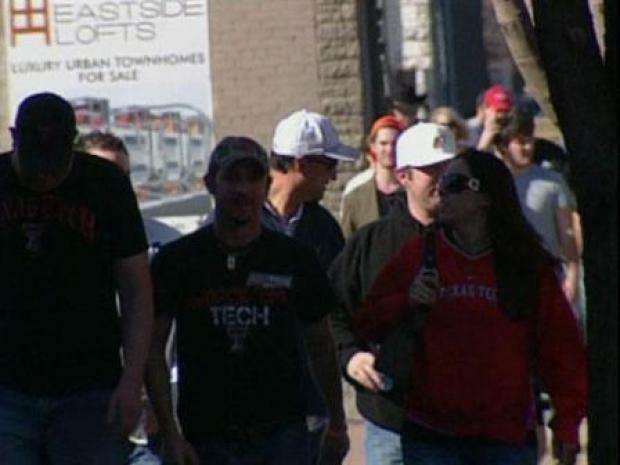 Fans drive down the street looking for parking before the Cotton Bowl in Dallas. City of Dallas parking enforcement personnel issued 10 criminal citations to illegal parking operators at the AT&TCotton Bowl Classic Friday. The range for these citations is $250 to $1,000. "Our emphasis today was to be proactive: we wanted to make sure no one was operating an illegal parking lot," said Paul Curington, Dallas parking enforcement manager. At past football games, it was the illegal operators who caused problems because they were waving people into parking lots that they were not authorized to operate." Citations were written for operating without a permit or not displaying a permit as required. Dallas police cracked down on illegal parking lot operations aimed at profiting off football fans attending the Cotton Bowl. 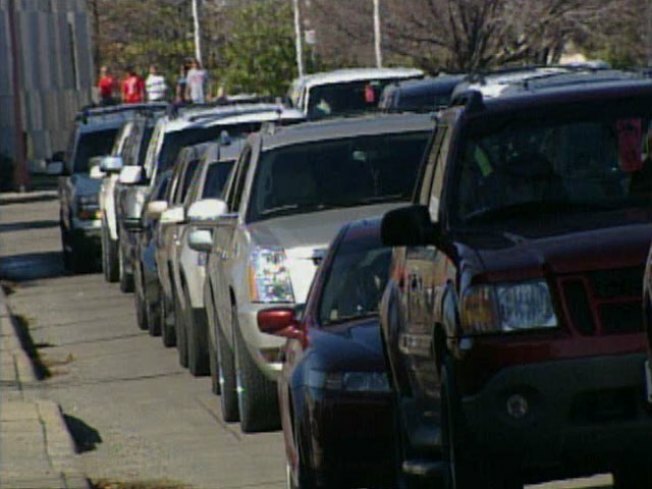 Of the 10 citations, eight were issued for not having the required permit for operating a parking lot within the designated "crown" of Fair Park and two were issued for not displaying the required permit. In addition to parking lot monitoring, parking enforcement personnel also wrote 13 parking citations for various violations such as parking too close to a hydrant, parking on an unapproved surface, and parking at a no parking/no standing sign.